Do Plastic Pallets Meet Food Grade Pallet Standards? According to the Center for Disease Control’s National Outbreak Reporting System, 628 outbreaks of foodborne illnesses originated in grocery stores between 1998 and 2016. Collectively, these outbreaks caused 19 deaths and over 10,000 individuals to fall ill. Food contaminated somewhere in the supply chain, as it moved from the farm to the consumer’s table, was found to be responsible for the outbreaks. Grocery producers, sellers, and carriers were all faced with costly recalls and potential legal action. The public, on the other hand, experienced shocking health crises. In order to mitigate future outbreaks of foodborne illnesses, the Food and Drug Administration (FDA) was given the mandate to formulate standards for food processing, handling, and transportation. The Food Safety Modernization Act (FSMA) is a new set of regulations aimed at preventing contamination of food by bacteria, chemicals, or pests. As of April 6, 2018, these rules will govern all aspects of sanitary food transportation across the United States. Plastic shipping pallets are far more sanitary than wooden platforms; companies who take advantage of plastic pallet pooling systems will find it easier to comply with the new food transportation rules. 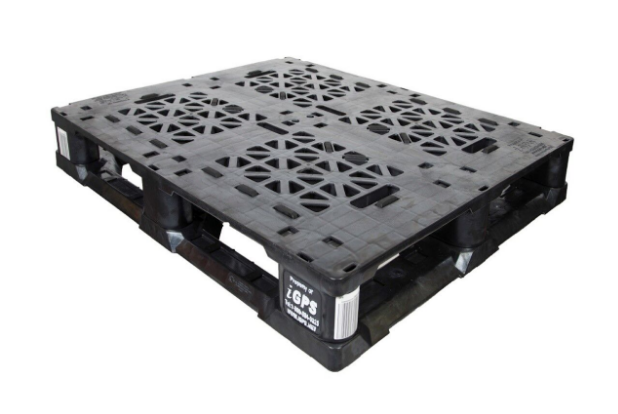 Non-porous plastic pallets don’t become harbors for moisture or fluids and don’t attract insects. Not only do they meet food grade pallet standards, they exceed them, beating out wood pallets as the leader in food grade pallet standards compliance. Sanitary transportation equipment: The design and maintenance of vehicles and transport equipment cannot cause the food it transports to become unsafe. Vehicles and equipment must be able to be cleaned adequately for their intended use. Controlled temperatures throughout supply chains: Temperatures must be monitored and recorded during transportation to ensure they stay in an appropriate range for the food being delivered. Eliminated risks of cross-contamination: Contamination of ready-to-eat food by raw food, as well as the cross-contamination of food from chemicals and pathogens, must be prevented. Worker hygiene training: Carrier personnel must be trained in sanitary transportation practices, and the training must be documented. Accurate records: Records of procedures, agreements, and training must be maintained for twelve months. These rules have a lot of leeway for interpretation; it’s left to accredited third parties to certify compliance and to carry out inspections. And, the FSMA gives the FDA the ability to mandate an expensive, brand-damaging food recall whereas before it could only suggest one. This can be a source of considerable anxiety for businesses in the food supply chain. Proven to be more hygienic than wood pallets, plastic pallets, then, become a critical component to ensuring FSMA compliance. Do Plastic Pallets Meet Food Grade Standards? Many rules mandated by the FDA specifically apply to food grade shipping pallets as they are considered to be transportation equipment. However, wood pallets may not be up to the challenge of meeting the new FSMA standards. Problems of cross-contamination stem from the fluids of raw foods, such as meats, dripping onto wooden pallets. Wooden pallets can also be used in industries other than packaged foods, produce, or groceries. For example, wooden pallets may be used to transport household cleaners one trip and food the next. Even when confined to the grocery industry, chemicals used to sanitize pallets can be absorbed by wood, eventually leaching into the products placed on the pallet. In comparison, plastic pallets do not absorb liquids or cleaning agents and can be easily cleaned of microbes and bacteria. The answer, then, to the question of whether or not plastic pallets meet food grade pallet standards is a resounding yes. Plastic pallets not only meet food grade pallet standards, they exceed them. Plastic has a non-porous surface that can be more easily cleaned and sanitized between loads than wood pallets. There are no fibers, or space between fibers, to provide refuge for bacteria during cleaning or for a hidden reserve to hold harmful chemicals that can seep out later. The non-absorptive plastic pallet surface is a great advantage for any shipper, carrier, or receiver of food products concerned with meeting FDA regulations—i.e. each of them. Sanitation and proper food handling during transportation is the key to preventing costly recalls and lawsuits. The choice of pallet used for shipping impacts a manufacturer’s ability to ensure food is safe and healthy for the end consumer. The iGPS plastic pallet pooling system can help keep food hygienic while simultaneously reducing Total Cost of Business (TCOB). There are three primary stipulations the grocery supply chain must comply with to ensure FDA food safety standards are met: sanitation at every point, temperature control throughout the chain, and mandatory monitoring and reporting. The iGPS plastic pallet is the logistics solution to each of these requirements. For instance, one of the unique advantages of the iGPS pallet pooling system is that plastic pallets are sanitized with silver dihydrogen citrate, an effective antimicrobial substance that reduces bacteria counts by 96 percent. This antimicrobial substance is non-toxic and non-caustic, removing the possibility of illness from chemical exposure as well. Supply chain managers should get ahead of new FDA regulations by getting started with iGPS. Enjoy the benefits of an intelligent and sanitary pooling system offering high-quality plastic pallets across North America that also just so happens to improve your bottom line and lower your TCOB. To lower your Total Cost of Business (TCOB) with the iGPS pallet, while offering increased safety to your workers and guaranteed hygiene and savings to your retail partners and consumers alike, give our team a call at 1-800-884-0225, email a specialist at switch@igps.net, or visit our contact page.